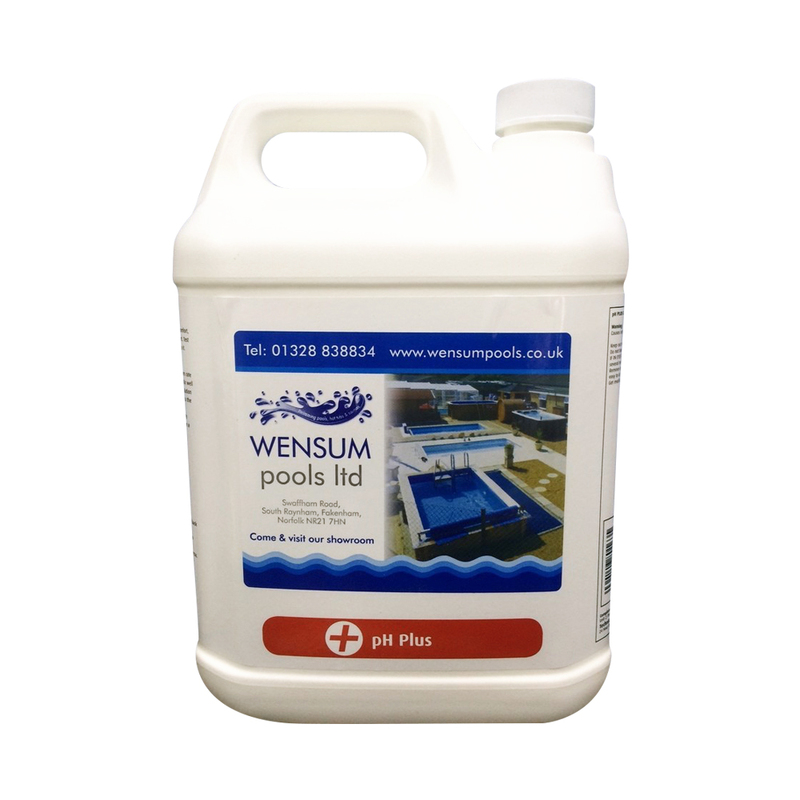 pH Plus from Wensum Pools used for increasing the pH level in your hot tub or swimming pool. A low pH level in a swimming pool or hot tub can cause itchy skin and damage to fittings. To prevent this issues, use pH Plus to bring your pH to between 7.2 and 7.4 on your test kit/strips.